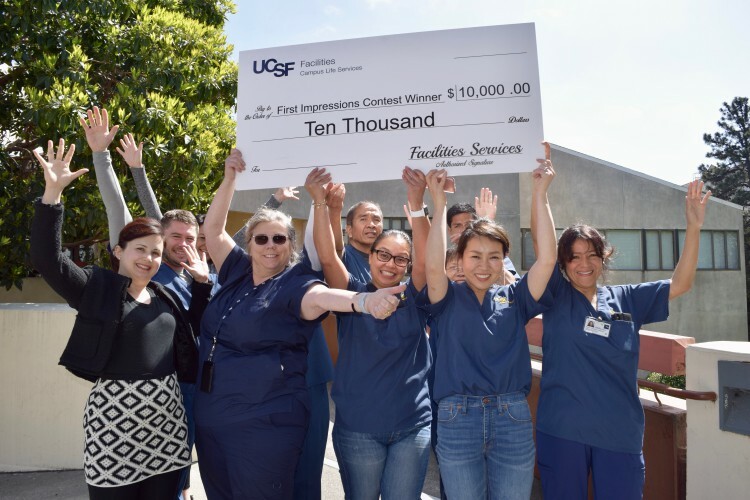 Over the past two years, the annual Facilities Services Campus First Impressions Contest has transformed 24 campus eyesores into inviting spaces that enrich the working environment at UC San Francisco. This year’s contest will begin accepting entries on Monday, Feb. 4. Entries will be accepted until March 15 and are judged based on their overall impact and ease of delivery. They are limited to public spaces that would make a significant first impression for students, staff, trainees, faculty, patients, and visitors and cost to transform the space can’t exceed $10,000. The contest is open to students, staff, trainees, and faculty. Examples of past projects include landscaping common spaces or sprucing up entrances to buildings, upgrading restrooms, renovating student lounges, and otherwise creating more inviting public spaces around campus. Entries with a high degree of public visibility will receive priority. Past projects like this include the School of Nursing mezzanine, the entrance to Parnassus from the Irving Street MUNI stop, and the entry to the UCSF Dental Center. Last year, a 14-member committee chose 12 winners from a list of 50 submissions. There is a complete review of last year’s winning projects on the Facilities Services website.